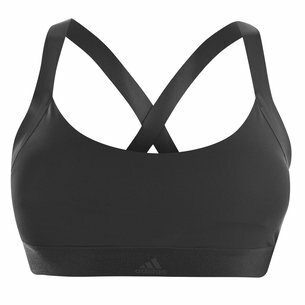 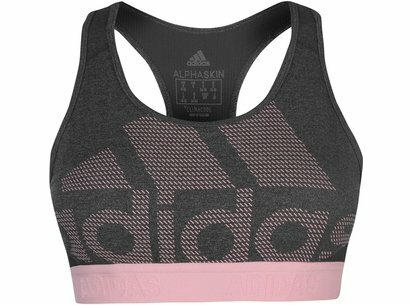 Support the muscles in your chest when you work out so you can put everything you have into it with this adidas Alphaskin Ladies Tech 3 Stripes Sports Bra in Black. 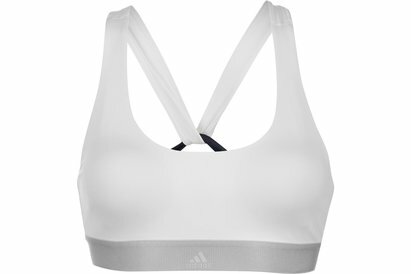 This racer back sports bra has been crafted by adidas with medium support. 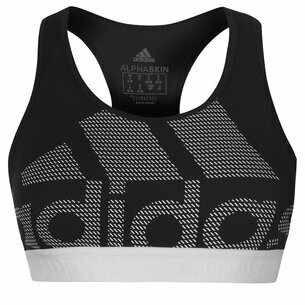 This sports bra will help you focus on your workout without being distracted by anything. 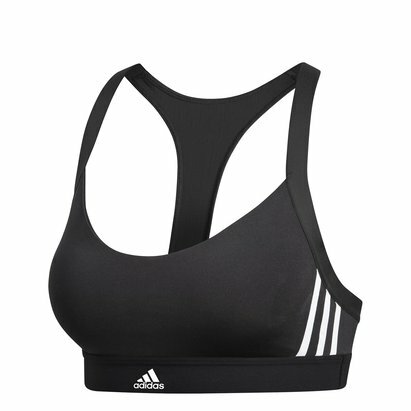 It has a compression fit with medium support and a locked-in feel. 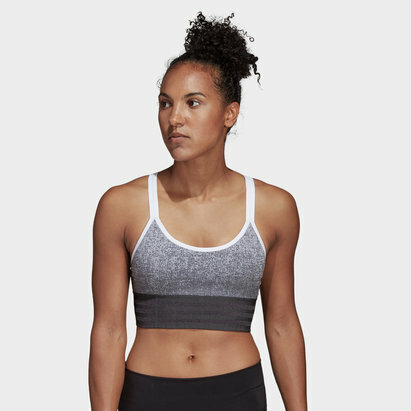 It has been made with breathable, moisture-wicking fabric and a mesh panel in the back to help you stay cool during hot weather sessions or when the pressure is ranked right up.